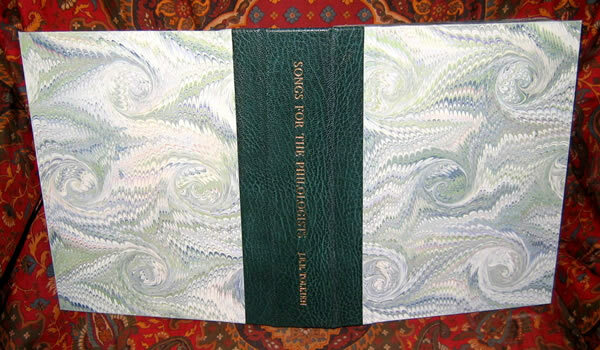 #000502 - Custom Clam Shell Case for 'Songs for the Philologists' - $325.00 A Custom Quarter Leather and Hand Marbled Paper covered Clam Shell Case for 1 of the rare Songs for the Philologists, by J.R.R. Tolkien. 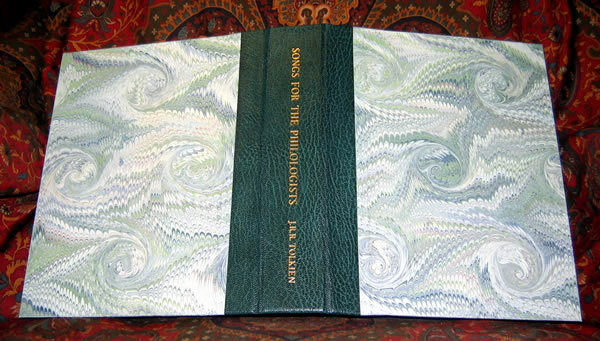 A Custom Quarter Leather and Hand Marbled Paper covered Clam Shell Case for 1 of the rare Songs for the Philologists, by J.R.R. Tolkien. 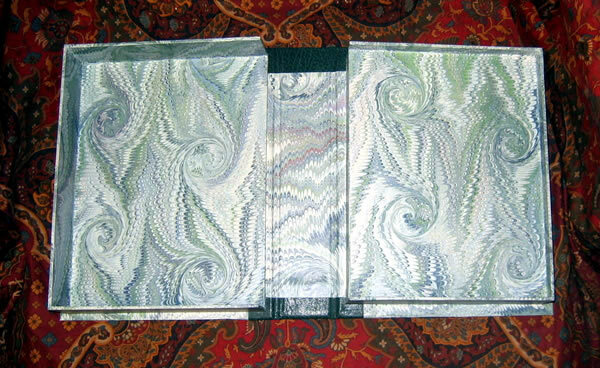 Dark Green goat leather spine, gilt stamped with Title and Author. 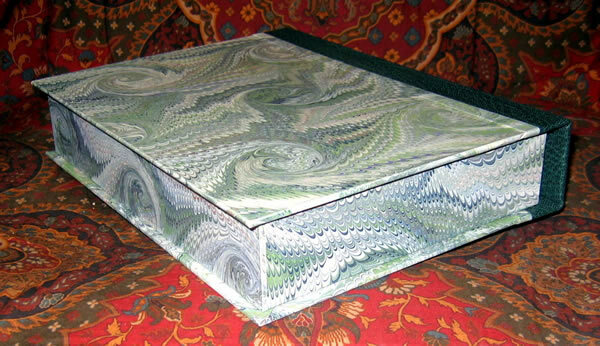 Custom Hand Marbled Papers by Joan Ajala of Australia. Beautiful combination of Green, Grey, and Blue on White, French Curl pattern. 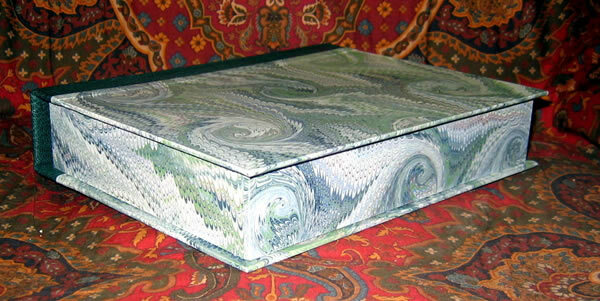 Expedited domestic shipping (US) with full insurance included in the price.